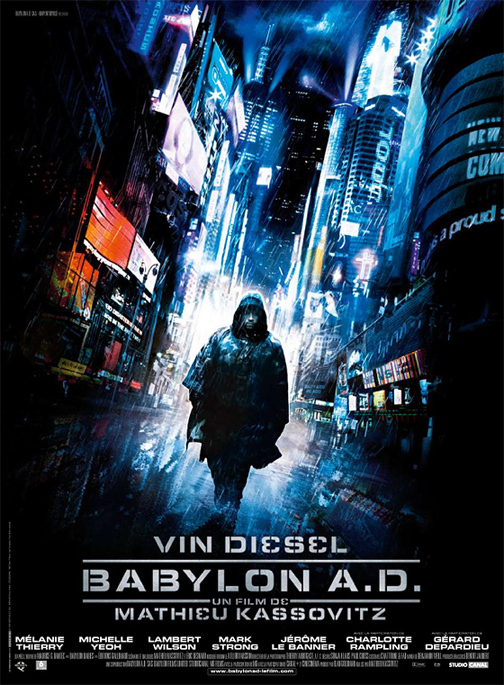 Movie reviews for Babylon A.D.
My worst rating yet! I knew that the movie had some bad rewievs in the back, but thought that I just should be prepared for a all in action movie with Mr. Diesel and then everything would be all right. It wasn't! The plot of the movie sux big time and doesn't really make much sense. One main problem is that they desperately use the last 20 minutes of the movie trying to explain everything. It seems like they shot a lot of scenes and randomly put some of them together. One example was that they arrive to Canada in a submarine and then they more or less cut to a scene where they are riding over a frozen lake on snow scooters. This in a world where all kind of hard ware is hard to get your hands on. Well any way I was hoping for a movie in same quality as the Ridick movies... It's not. I put 2 out of 10 for very bad acting, sucky plot and extremely crappy cutting/editing.